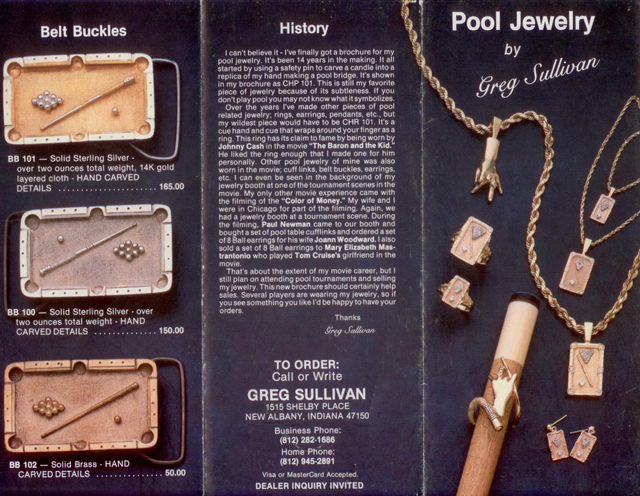 In his early days as a player, Greg Sullivan loved to hit the road, where he specialized in Banks and one handed pool. 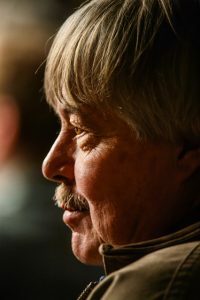 Even though his game was a little under the pros, he traveled to tournaments all over the place, either entering himself or backing other players. 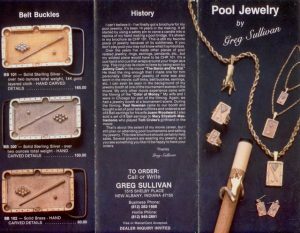 His first pool related business was not Diamond tables, but instead was pool jewelry. His jewelry business enabled him to make a little money while doing what he loved, traveling to the tournaments and mixing it up with the best players around. Diamond was started as an idea to create a standard table that was designed by players for players. In his traveling to tournaments Greg noticed how much tables varied from event to event. Greg proposed to the player organization to develop a standardized table. Even though at first he got turned down, he forged ahead with his concept, and thus Diamond tables were born. Lexington All-Stars was the first tournament that used his new tables. Over the years the specifications have evolved based on feedback and new ideas. 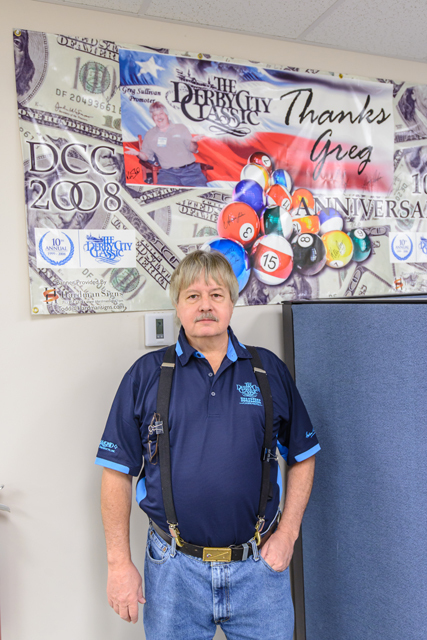 Greg’s one handed play influenced his decision to make Diamond tables with soft rail & pocket surfaces to protect the cue stick. Greg worked with Simonis after they developed 760, to develop the Simonis 860 with a measurable speed rating in between the super-fast 760 and the old common high nap cloths. 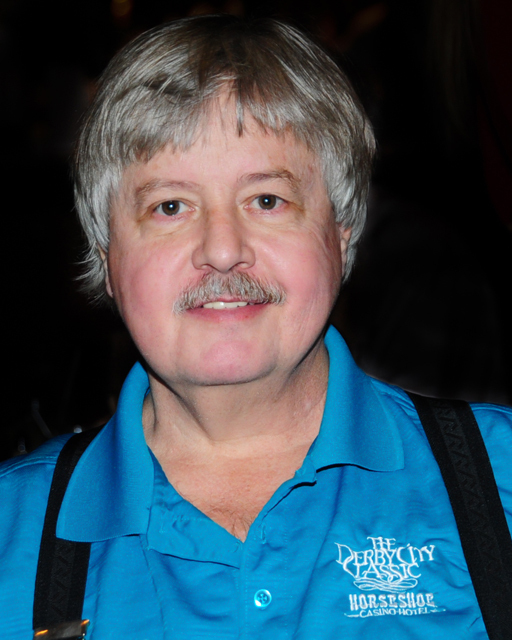 The Derby City Classic tournament was inspired partly by his recollections of Johnston City (which he attended) and other early jamboree type tournaments. He loved the action and the fact that more everyday players could mix it up with top players. That is partly why DCC has short races and relatively low entry fees, with the unique buy-back format — to make it irresistible for everyday players to get into the fray. He always liked Banks and One Pocket, and feels that to be the best player you need to be able to play all the games. Each discipline attracts players that like each game, but they get exposed to the other games. The all-around added money has enticed many players to learn how to play One Pocket and Banks, because in order to qualify for the all-around, players have to play (and do well) in all three major disciplines. 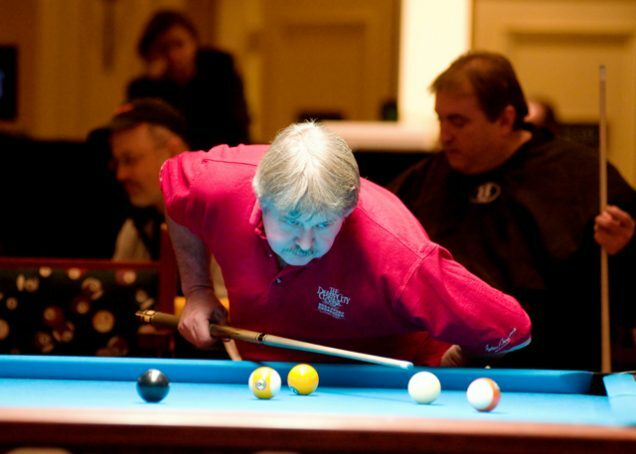 Action has always been a big part of pool and Greg has always respected that part of the game. Remember the “No/No Gambling” signs at the old Executive West? Greg has tried to grow DCC into a bigger tour for professional pool, with the idea of attracting outside corporate sponsorship, with the added locations of Tunica, but the economy and a close conflict with Bonus Ball scheduling hurt the second year of Tunica, and they had to drop it. Greg considers that a missed opportunity, but he is not done yet!